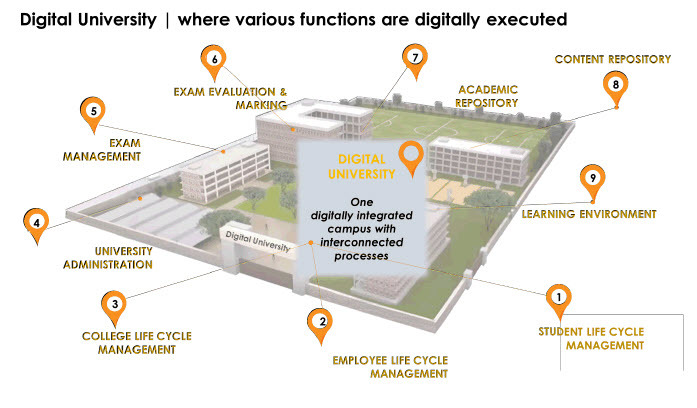 In the era of Information Technology, we believe that IT should be used for improving and facilitating the entire academic environment of any institution / university. EdCIL has a long experience in developing ERP Solution for various educational institutions of national and international repute. A DUMS provides transparency, accountability and central monitoring thus providng a better solution to the educational problems of Higher Educational Institutions. 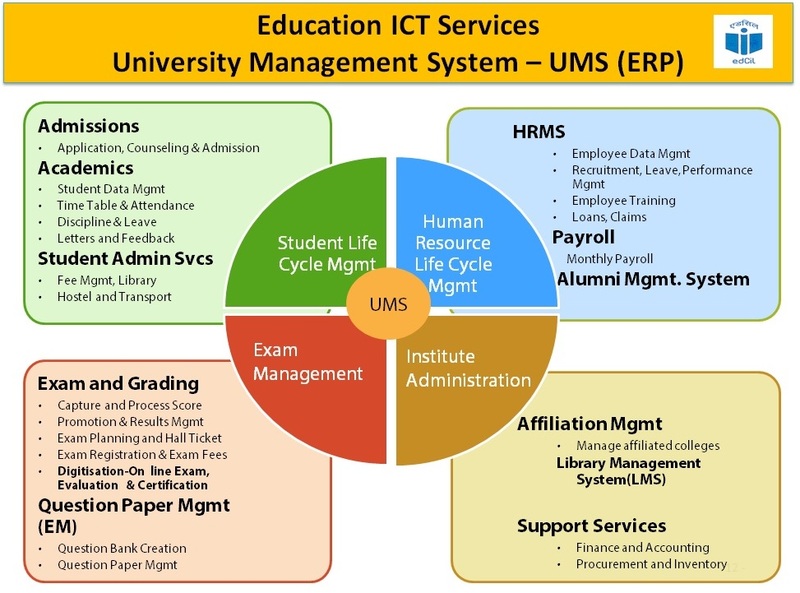 E-Management System / ERP Software Solution covers all the facets of educational institution ranging from administrative and accounting to academic management through various modules. 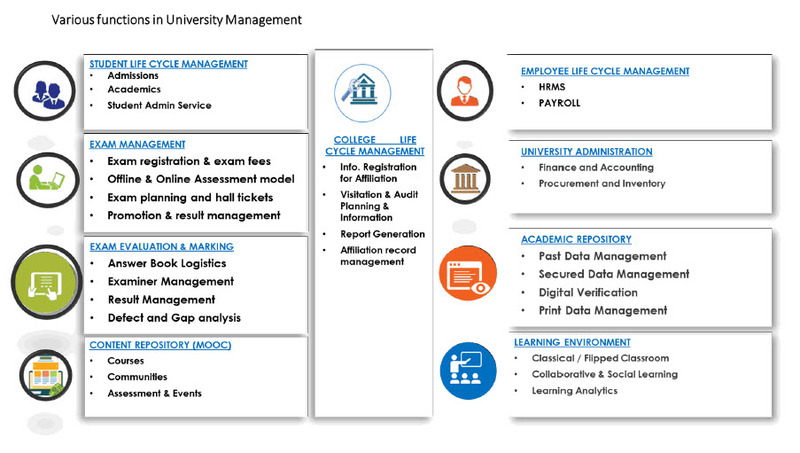 ADMINISTRATION MANAGEMENT: ERP Software Solution streamlines administration of institution by integrating below mentioned modules. It renders efficient management service to institution in cost-effective manner.